Welcome to C&R Tire Co.
C & R Tire is a trusted independant tire dealer serving Sturbridge and Worcester, Massachusetts. We proudly offer tires by Michelin, BFGoodrich, Uniroyal, Bridgestone, Firestone, Goodyear , Yokohama, Cooper, Goodyear, Dunlop, Kelly, Continental, General, Pirelli, Yokohama, Kuhmo, Hankook, Nokian and other popular brands. We carry light truck, CUV and SUV tires, performance tires, runflat tires, passenger tires, trailer tires and custom wheels and rims at affordable prices. Look no further than C & R Tire in Sturbridge and Worcester Mass. 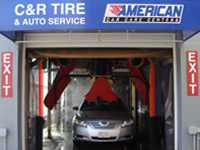 C & R Tire in Sturbridge and Worcester, MA offers brake service, oil change, wheel alignment, wheel balance, batteries, air conditioning, tune ups, scheduled maintenance, check engine light and other valuable services. Our highly-trained and experienced customer service professionals and automotive technicians are here to provide you with the expert information and honest advice you need in order to make intelligent choices about your automotive needs. 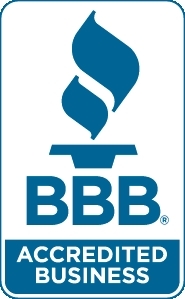 At C & R Tire, our mission is to provide every customer with the best possible service on every visit. Our highly-trained and experienced team of customer service professionals and automotive technicians are here to provide you with the expert information and honest advice you need in order to make intelligent choices about your automotive needs. No one at C & R will ever pressure you to make a purchase. We will tell you up front what our complete prices are and exactly what you will be receiving, so there are no hidden costs and no surprises. We use quality brand name products, expertly installed by our ASE certified technicians. Finally, we stand behind our service—now, and down the road. 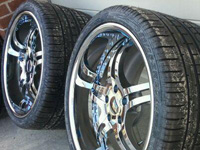 For top quality products, honest prices, and the best possible service, you can trust C & R Tire. Conveniently located in Worcester and Sturbridge, Massachusetts, C & R Tire Co., Inc., offers brake service and repair, oil changes, wheel alignment, check engine light diagnosis, and other valuable services to get your vehicle back on the road. Give us a call in Worcester at (508) 852-6464, in Sturbridge at (508) 347-2124, or drop us an email at info@crtire.com. We will get back to you promptly. Thousands of satisfied customers from Worcester County, Hampshire County, Middlesex County, and other surrounding areas rely on C & R Tire Co., Inc., each year. for a Full Service Car Wash 7 days a week. Service write-ups and Courtesy Rides are available starting at 7:30 a.m.